There are four views of this project on this page. 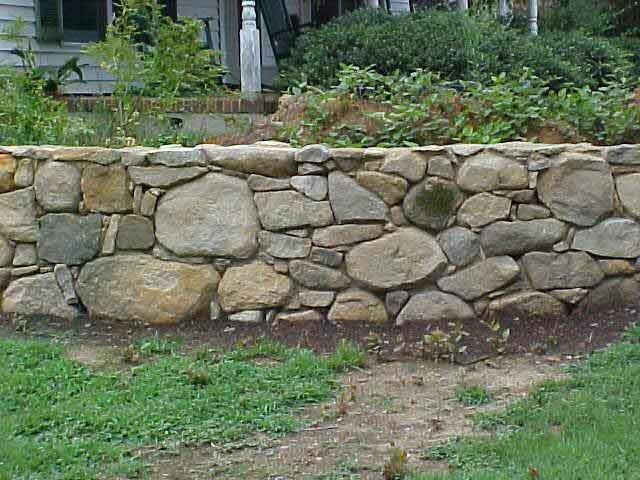 This solid stone wall is built with local (Chatham County, NC) field stone, mostly weathered granite. 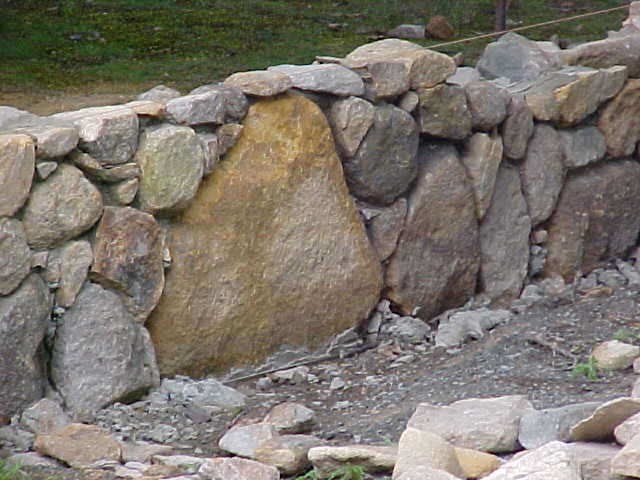 It is very hard and so the work here involves finding the best stone for a particular spot rather than chipping and shaping stones. The owner's family has lived on this land for several generations. 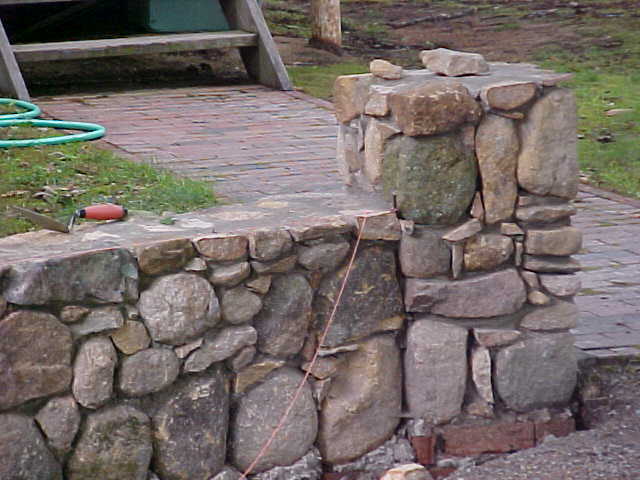 My work was to match the existing foundation of the old home place in the background. 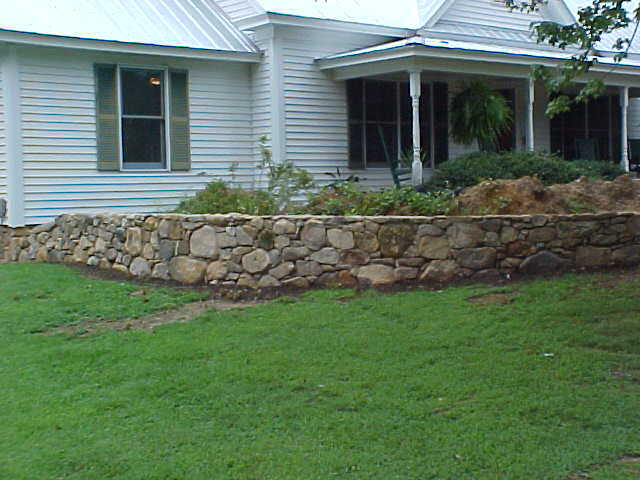 The wall will be backfilled up to about a foot below the back side, and azaleas and other plants are going in soon. I'll take a few more shots when the cleanup has happened. The client knows how to build a pretty column.